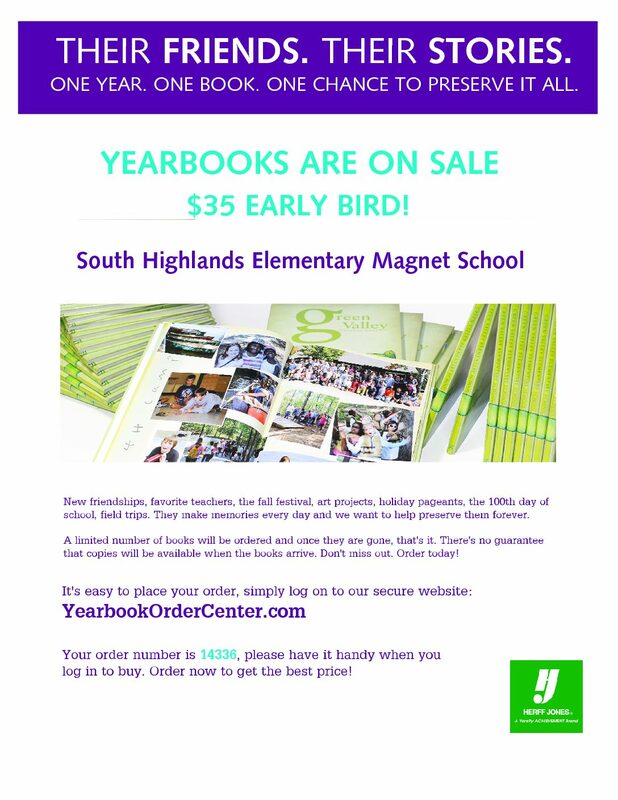 Yearbook Order Early Bird Sale! MENU FOR MAY 14 – 17, 2018 Monday Tuesday Wednesday Thursday Friday Pepperoni Pizza Corn Fruit Hamburger French Fries Tomato Pickle & Onion Pineapple Tidbits Ham Sandwich Fruit Steak Fingers French Fries Roll Fruit Cocktail Summer Vacation!!! Baskin Robbins Ice Cream fund raiser was a success! A BIG THANK YOU to all of you who went to Baskin-Robbins Ice Cream on our last South Highlands Spirit Night! We just received a check from them for $200.00! Thanks also to Madeline Kawanaka for organizing this year’s Spirit Nights for South Highlands. 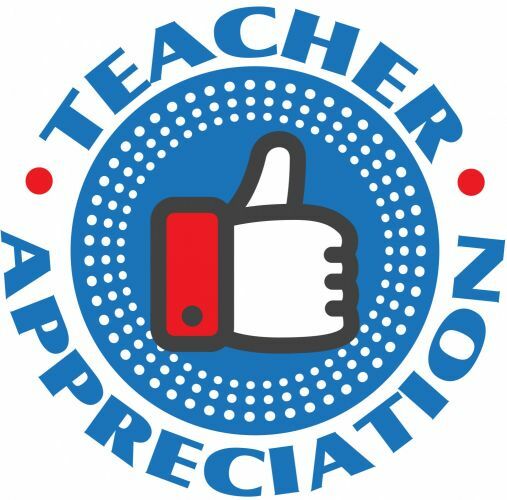 2018-2019 PTA needs YOU! Volunteers Needed!! LAST CALL FOR SCHOOL SUPPLY ORDERS!! 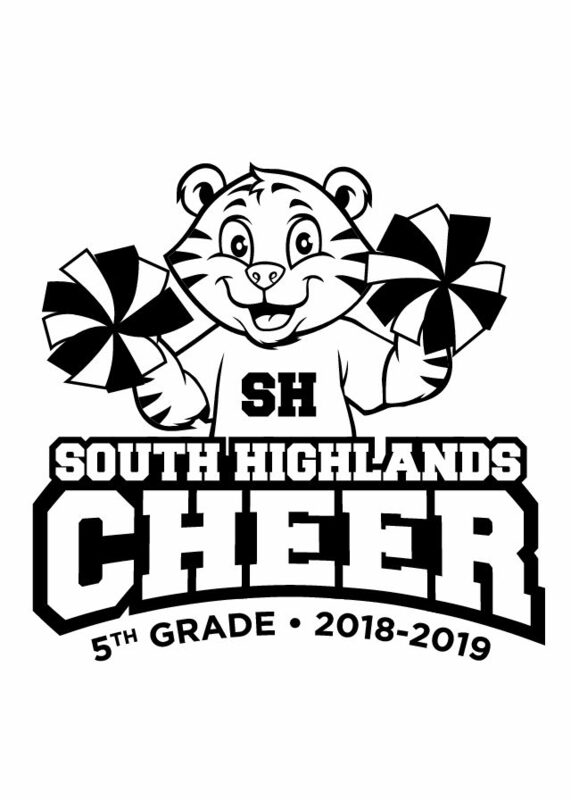 Interested in becoming a 5th grade SHM Cheerleader? TALENTED ARTS PROGRAM EXHIBIT The SHM Talented Visual Art and Music students will present a visual art exhibit and musical performance this upcoming Monday, May 7 in the old auditorium from 3-5pm. Please stop by to see this incredible their work and learn more about the talented art program.